As well as improving your technique, take the opportunity in your lessons to discover more about this amazing environment. 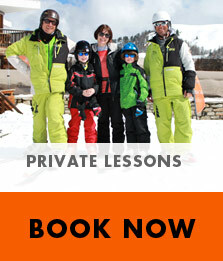 In association with Wild Wild Snow, your instructor will gladly share knowlegde of the mountains with you. For those who are interested in the local wildlife, nature and glaciers we can spend a few minutes of your lesson introducing you to these stunning surroundings. Our purpose is to enlighten both children and adults in an enjoyable way to beauty, danger and evolution of the mountains. In this way, we hope that people will continue to have respect for this environment.